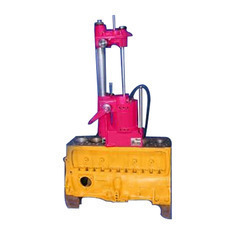 We are a leading Manufacturer of engine cylinder boring machine from Ghaziabad, India. Used for the purpose of engraving designs on various bangles, the offered Engine Cylinder Boring Machine are considered to be amongst the finest that are available in the market. Manufactured in accordance with the set industry norms, utilizing the finest raw materials, their sturdiness, durability and resistance to corrosion, are quite high. Further, they are marked at the best rate possible. Looking for Engine Cylinder Boring Machine ?